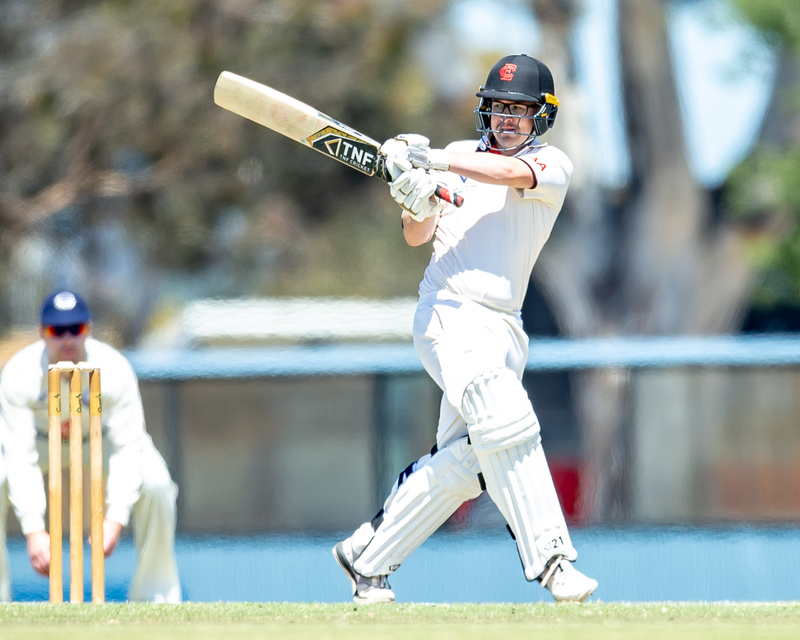 Essendon batsman Aaron Ayre became the first Bomber to notch 1,000 Premier 1st XI runs in a season during his match-winning knock of 94 against the Monash Tigers. 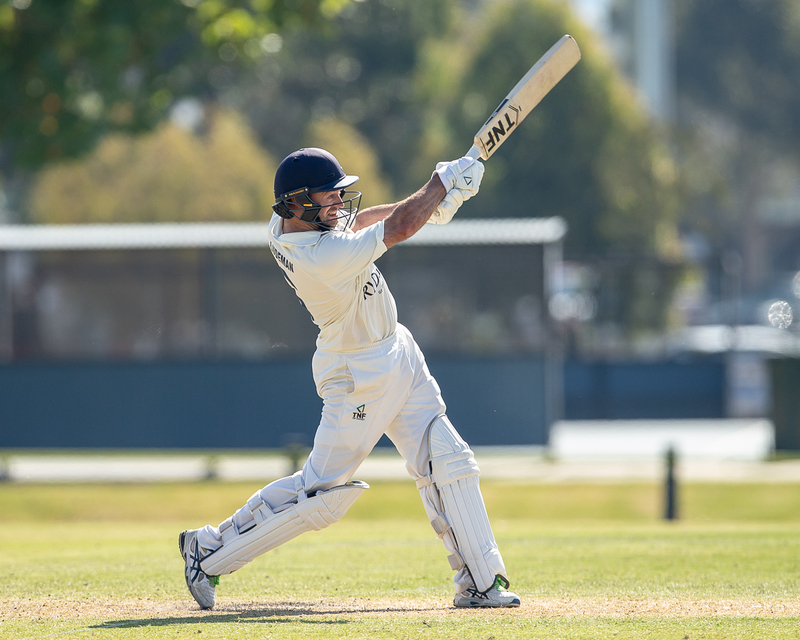 The completion of Week 2 of the Finals saw an exciting finish and a clinical display in the Men’s 1st XI, while there were plenty of tight results across the lower XIs over the weekend. 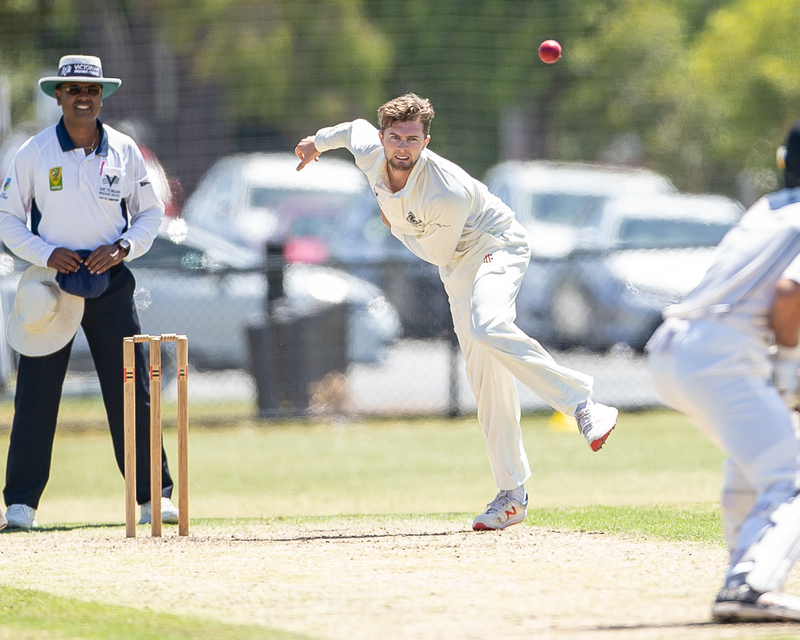 Fitzroy Doncaster gained revenge on last year’s Premiers Dandenong in a heart-stopper at the Camberwell Sports Ground, winning by 9 runs on the last ball of the match. Reigning Ryder Medalist Trent Lawford was the hero for the Lions by dismissing Jacques Augustin and Jakeb Thomas in consecutive balls en route to figures of 4/59, while the batting card of 9/226 dec. was shared by Nick Fletcher (36), Jack Rudd (35), Nat Vardi (34), Liam Banthorpe (31) and Lawford (26). For the Panthers, Lincoln Edwards fought hard with 109, James Nanopoulos coming in with the double of 42 and 4/79 and Akshat Buch 3/50 also bowled well. In the other Semi Final, Essendon accounted for the Monash Tigers by 8 wickets after Aaron Ayre became the first Bomber in the club’s history to score 1,000 runs in a Premier 1st XI season when he went past 51 en route to 94. James Seymour (93) also batted well for the Bombers to chase the Tigers total of 8/251 dec., while Marcus Berryman (59*), Dan Sartori (55) and Sam Taylor (33) top scored for the Tigers. For the Bombers, Liam Bowe (4/77) was the standout with the ball while Tom O’Donnell (2/39). Preliminary Final #1 will see the Minor Premiers in Carlton host Essendon at Princes Park #1. The last time these two sides met was in the rescheduled one-day match at the end of October, with Carlton claiming the points chasing Essendon’s target of 212 in the 41st over at Princes Park #1. The Blues made the Preliminary Final after playing out for the Draw against last season’s premiers in Dandenong, while the Bombers defeated the Monash Tigers last weekend after being defeated by Geelong in the first weekend of Finals. The Blues have been best led with the willow by keeper Brayden Stepien (697 runs @ 58.08), with quality support from Nicholas Ross (531 runs @ 48.27), Harrison Smyth (490 runs @ 40.83) and Thomas Smyth (392 runs @ 35.64). With the ball, the Blues have a number of quality options at their disposal, with left arm spinner Eddy O’Sullivan (36 wickets @ 18.14), Aaron Smillie (33 wickets @ 15.94), Cam Stevenson (29 wickets @ 22.69), Xavier Crone (17 wickets @ 27.12), Thomas Smyth (14 wickets @ 24.29) and skipper Evan Gulbis (10 wickets @ 37.40) all able to bowl quality spells and will look to rein in the Bombers’ top order batsmen. With stakes this high, any missed chances will be magnified 10x larger and may be the difference in a win or a loss in this knock-out final. The Bombers have chased down some big targets this season and have the capacity to do so again, but the Blues will also be keen to not let this opportunity slip, especially on their home turf. With the Bombers searching for their first flag since 1969/70 and their first Final appearance since the 2013/14 season, they will be keen to pull off the upset against the Minor Premiers, while the Blues will be keen to make their first Final appearance since the 2008/09 season, with the aim to bring the title home for the first time since the 1980/81 season. Preliminary Final #2 will see Geelong host last season’s Grand Finalist in Fitzroy Doncaster at the Geelong Cricket Ground (both days starting at 9:30am due to the AFL match on the Saturday Night at GMHBA Stadium). The last time these two sides met was in a one-day match in Round 10, with the Cats winning by 7 wickets and securing a bonus point at Schramms Reserve #1. The Cats made the Preliminary Final by upstaging Essendon at Windy Hill in the Qualifying Final, while the Lions have had to survive two ‘heart-stoppers’ this Finals campaign, with last-gasp victories over the Camberwell Magpies (1 wicket) in the Elimination Final, before defeating last season’s premiers Dandenong (9 runs) on the last ball of the Semi Final last weekend. The Cats batting card this season has been led by Hayden Butterworth (612 runs @ 43.71), with Tim Ludeman (604 runs @ 46.46), skipper Eamonn Vines (526 runs @ 40.46) and Josh McDonald (436 runs @ 29.07) all taking control in certain matches across the season, while Thomas Jackson (296 runs @ 59.20) has scored 2 centuries in his debut 1st XI season in only 6 matches (107 on debut versus Northcote and 136 against Ringwood). With the ball, the Cats’ attack has been led by leg spinner and 2012/13 Ryder Medalist Brenton McDonald (40 wickets @ 19.85), with quicks Dom McGlinchey (28 wickets @ 25.89) and Jake Reed (25 wickets @ 27.32) providing quality support. The Lions batting this season has been led by Jack Rudd (561 runs @ 33.00), with Nat Vardi (439 runs @ 27.44), Peter Dickson (416 runs @ 34.67), Liam Banthorpe (401 runs @ 36.45) and Noah Korkolis (395 runs @ 32.92) all providing handy knocks across the season. With the ball, the Lions have been best led by last season’s Ryder Medalist Trent Lawford (43 wickets @ 18.42), with Samuel Elliott (26 wickets @ 25.50), Chris Moore (25 wickets @ 22.84) and skipper Ejaaz Alavi (20 wickets @ 28.65) all providing support to the Lions spearhead. With recent form and the home ground advantage, the Cats would appear to start as favourites to make their first Victorian Premier Cricket 1st XI Final since their one-off Grand Final appearance in the 2007/08 season, but would the recent results and momentum being carried by the Lions be enough to dethrone the home side and make their 4th consecutive Victorian Premier Cricket 1st XI Final? Time will tell. 4th XI: Carlton vs Essendon at Windy Hill (11:30am start). The PCMT wishes all competing sides in the Lower XI Grand Finals the best of luck for this weekend and wish the Umpires selected for these games our best regards for these matches and to ‘see them well’. James Seymour (Essendon) will play his 100th Premier 1st XI match when the Bombers take on Carlton at Princes Park #1. 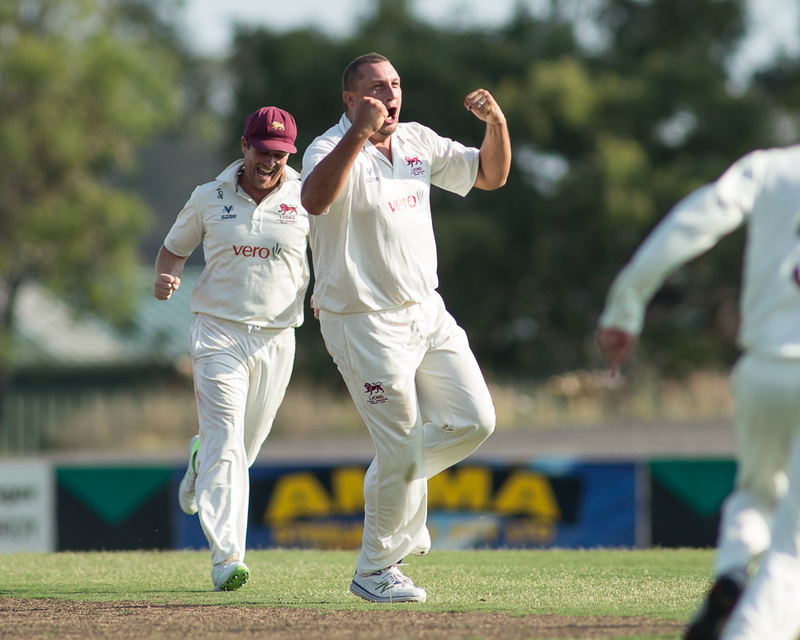 Seymour also took his 50th Premier 1st XI wicket in the Semi Final when he dismissed the Monash Tigers’ Sam Taylor LBW. Isaac Willett (Essendon) will play his 50th Premier 1st XI match when the Bombers take on Carlton at Princes Park #1. Daniel Sartori (Monash Tigers) scored his 5,000th Premier 1st XI run during his innings of 55 against Essendon. Aaron Ayre (Essendon) scored his 4,000th Premier 1st XI run during his innings of 94 against the Monash Tigers.